The Nigerian constitution recognizes any form of violent attack on constituted authorities as treason which is punishable under the Criminal Code Act. 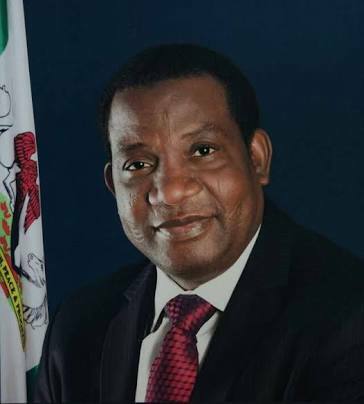 Last weekend's mob attack on the convoy of the Plateau State Governor, Simon Lalong is most likely one of such offences which advanced democracies would not take likely. However, a combination of issues, owing to the Governor's actions or inactions with regards to the recent attacks in the state may have sparked the riots leading to the attack. 1. Is comfortable with Abuja's role in managing the attacks. 2. describes the attack as clashes between herders and farmers. 3. says it is a fight between a particular Plateau tribe and the attackers. 4. is receiving commendation from Abuja or happy that Abuja is happy with his/her role within the period of attacks. 5. Is comfortable with down playing the magnitude of the attacks and rate of damages on the victims. 6. Is comfortable with the Abuja narration on why the attacks. 8. Is comfortable with disarming, arrest and trial of defending victims instead of perpetrators. 9. Capitalises on the negative reactions of victims rather than the roles of the sponsors of the mayhem on the people. 10. Is more incline to listening to the so called plights of the perpetrators than the victims. And the likes. If a person or government posses any or all of these features, Barr. Kwamkur in a statement said, "One needs no angel to understand that the leadership is not in tune with the state." In his submission, the CAN Legal Adviser said, "What shall it profit a Plateau leader if he gains the whole Abuja and loses his people? "JD Gomwalk, Gov.Dariye and Jang as they then were, understood the times during their trying moments when they had the opportunity to lead Plateau. "We have committed Plateau sons and daughters serving in Gov. Lalong's government with past experiences but I am not sure if they are playing their roles well in regard to the challenges of the time."